The swimming portion of the race will take place in the desert oasis village of Taghit. The oasis, where the swimming will happen, lies about 8k from the race hotel and is about 300m long and 15m large. The water temperature in January is about 16°C (61°F )and a wetsuit is mandatory. Transition one will be right next of the oasis. 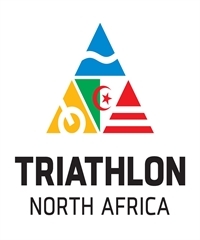 The swim will consist of eight 475m loops The cycling part of the race will include mostly flat terrain and because of the constant threat of inclement weather, will be on a circuit course. The first loop will be slightly longer, but the circuit will include eight 21.5k loops. The run route will have sand, gravel, and asphalt. The course will lead through the oasis village of Taghit and nearby sand dunes. The run too will be done in loops. Eight 5.2k loops will total to 42k.